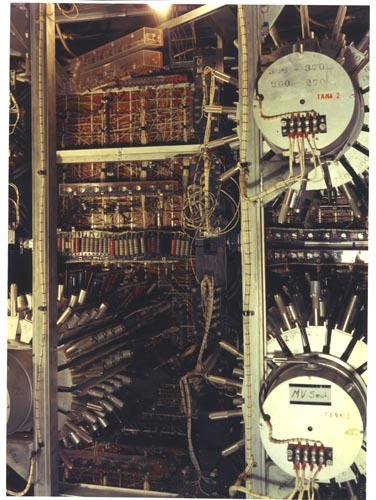 Color image of UNIVAC I Mercury Delay Line memories at Lawrence Livermore laboratory. Three memories are shown with their associated electronic components. Verso paper sticker "Lawrence Livermore Laboratory University of California Graphics Division Neg. No. Glc-5711-431"
Verso blue ink " Univac 1"